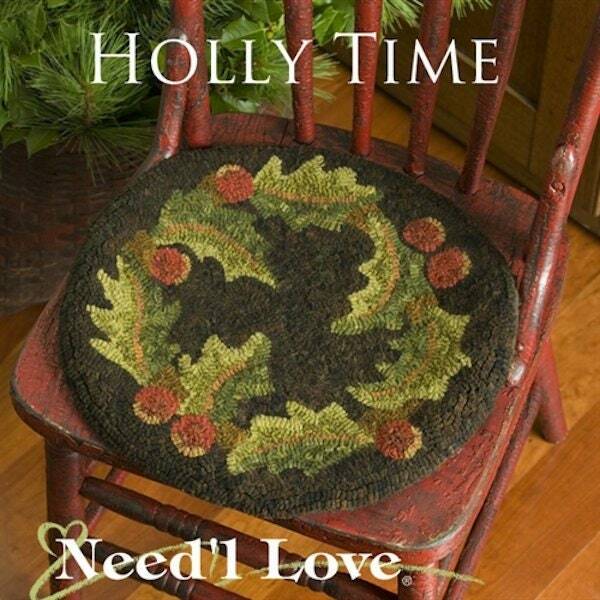 Hooked Rug Pattern "Winter Sprig" from Needl Love Designs. 15" round Design by Renee Nanneman - Makes a perfect holiday chair pad. No instructions are included but are found in project book "WintergreenThreads" from Needle Love Designs).